This introductory text highlights the most important aspects of a wide range of techniques used in the control of the quality of pharmaceuticals. Written with the needs of the student in mind, this clear, practical guide includes self-testing sections with arithmetical examples and tests to help students brush up on their arithmetical skills in an applied context. 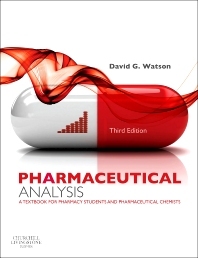 Includes worked calculations to demonstrate mathematics in use for pharmaceutical analysis. Focuses on key points rather than a large number of facts to help readers really understand the field as well as pass exams. Includes self-assessment, focussing on simple arithmetical calculation results from analytical data.